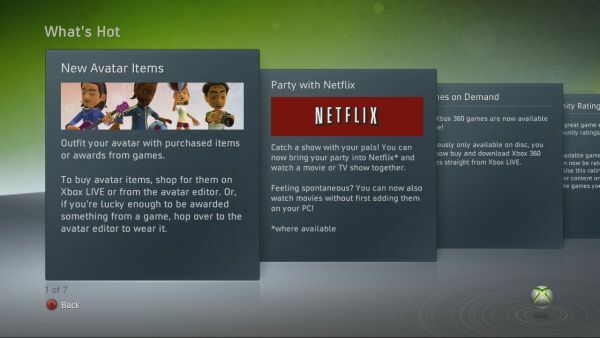 The update will get you a brand new party system in Netflix, Avatar items and unlockables, games on demand, a full rating system for all content, and enhanced user interface features like a new achievement browser and sortable friends lists. You may even see some performance improvements. You can find out the entire change log of updates on Xbox.com. Which feature is your favorite feature of the update? What feature would you like to see in future updates?